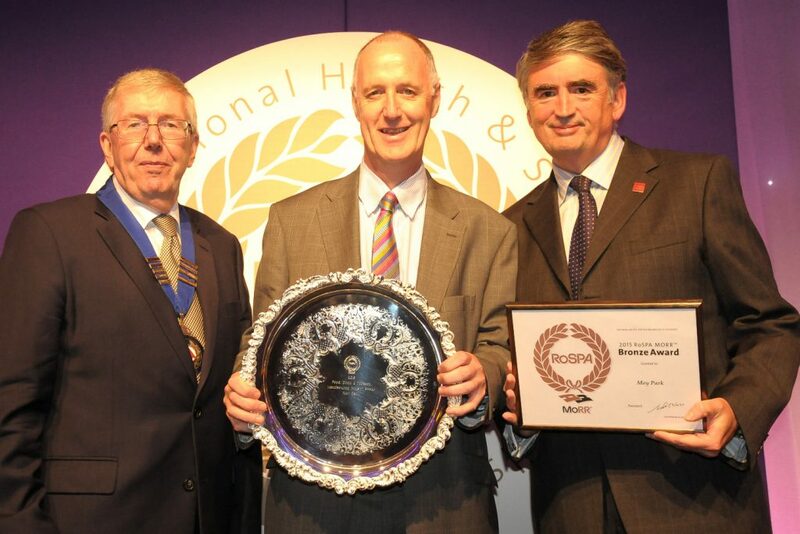 Lord McKenzie of Luton, ROSPA President; Mike Mullan, Moy Park HR Director Europe and Tom Mullarkey MBE, ROSPA Chief Executive. 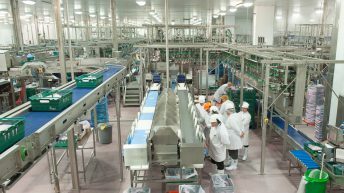 Moy Park, the UK food company, has won the 2015 Royal Society for the Prevention of Accidents (ROSPA) Food and Drink Health and Safety Award. The award is in recognition of its outstanding and industry leading health and safety performance. 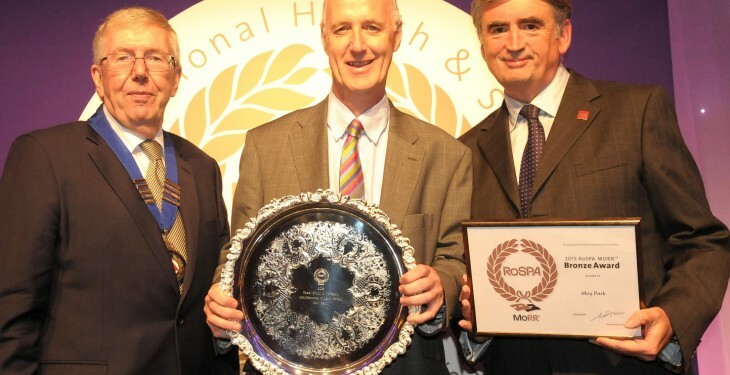 The ROSPA Awards have been running for almost 60 years and are widely recognised as the ‘Oscars’ of health and safety awards across UK industry, it says. Moy Park attributes its success to making safety its number one priority, with safety performance improving by 78% over the last three years and many of its sites having achieved over one million hours without a Lost Time Incident. Mike Mullan, Moy Park HR Director Europe said this was the companies first time to enter and it is a great honour to be recognised in the UK’s most prestigious health and safety awards. “Health and safety is at the core of everything we do, with risk assessment, accident prevention and active monitoring embedded firmly into our everyday operations. “To win an industry wide ROSPA award truly is an outstanding achievement for everyone – across the health and safety teams, site management, and at an individual level – as we work together to continually drive forward industry-leading health and safety standards,” he said. 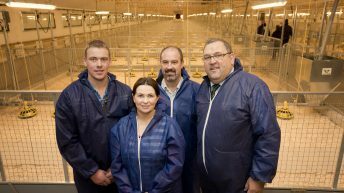 David Rawlins from ROSPA said that in making the award, judges considered Moy Park’s overarching occupational health and safety management systems, including practices such as leadership and workforce involvement. “The standard of entries overall continues to improve making winning an industry sector award an ever greater achievement,” he said. In addition to the overall industry sector award, Moy Park also received a MORR:Bronze award in recognition of its management of road risk.